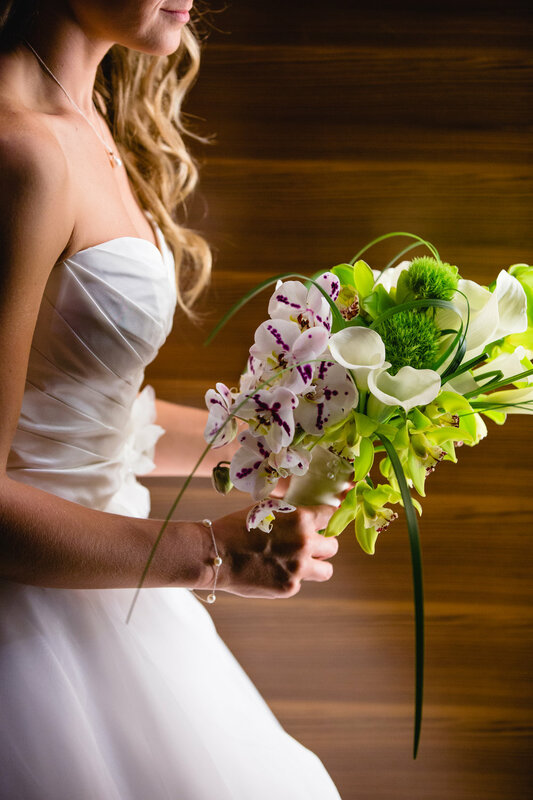 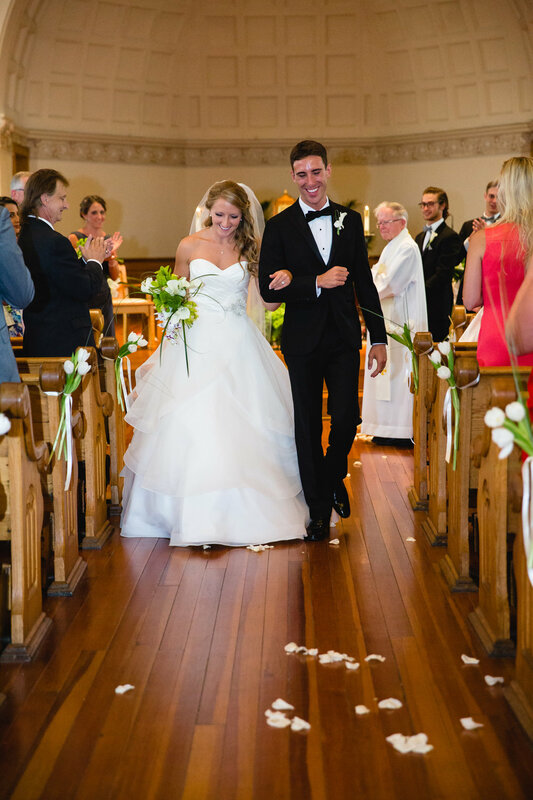 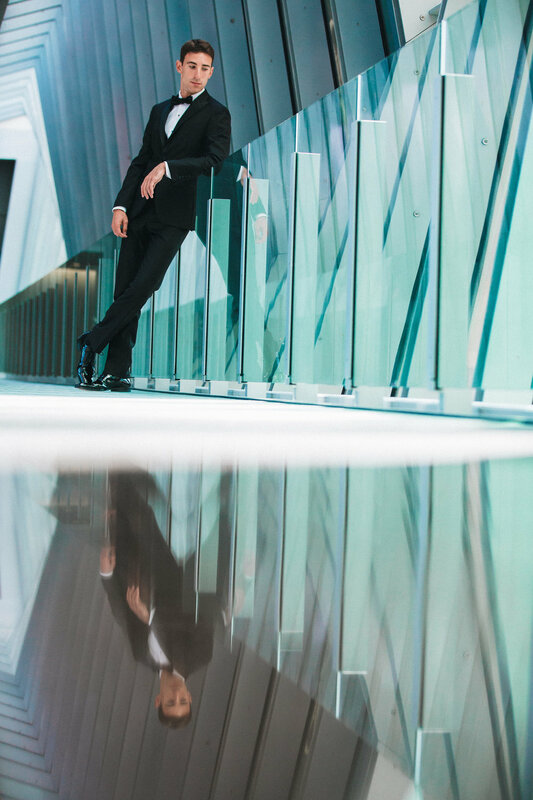 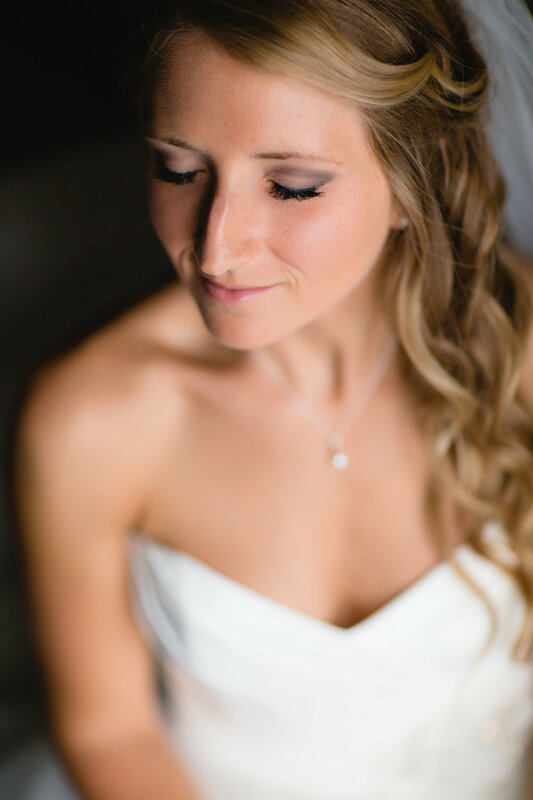 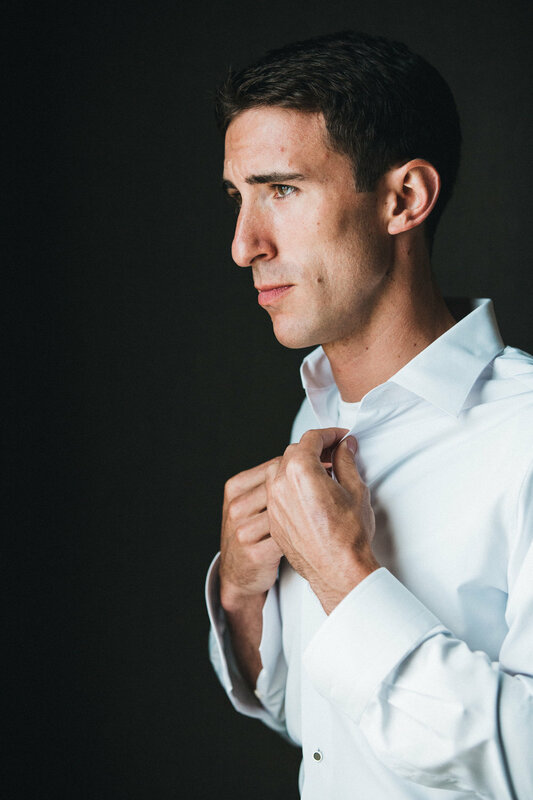 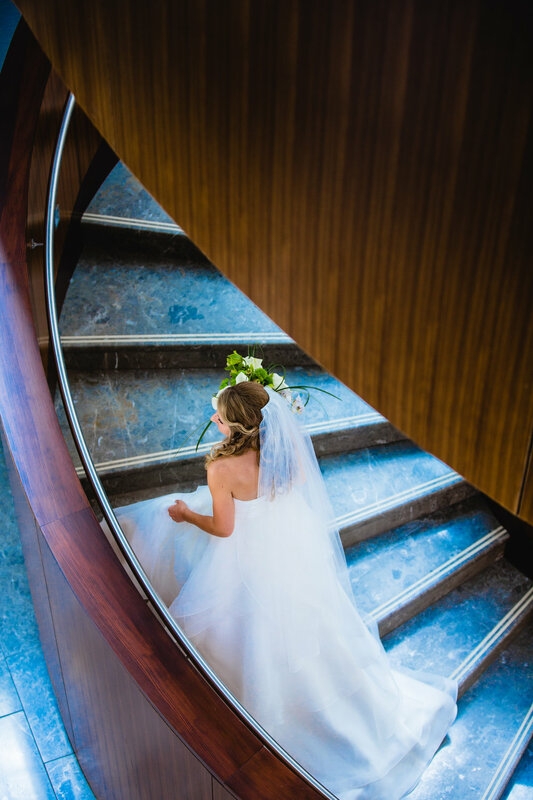 Kara and Paul's August wedding boasted simplistic, modern detail in every corner. 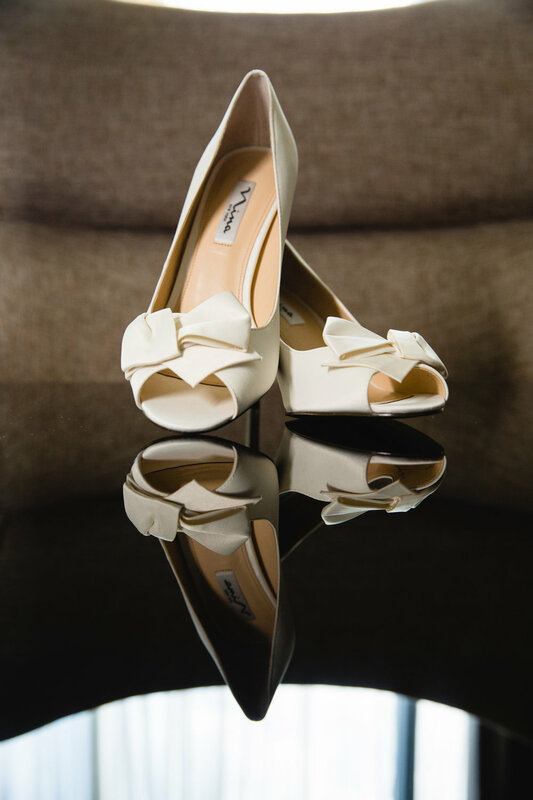 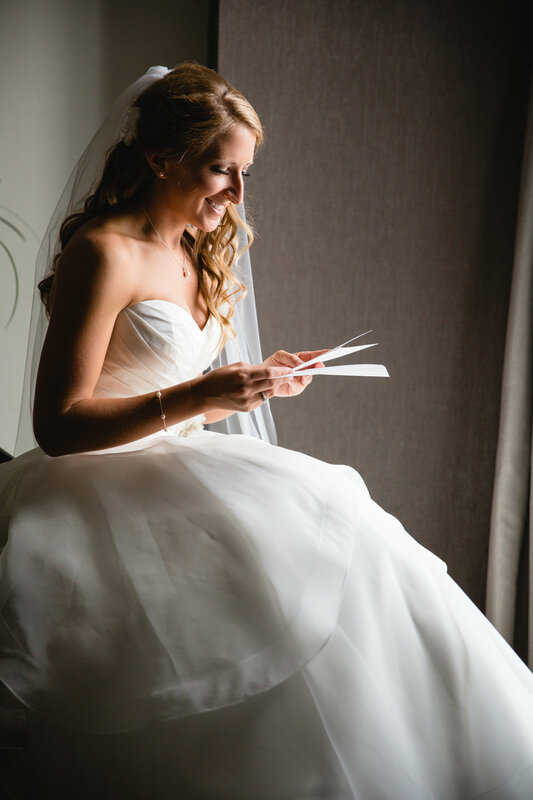 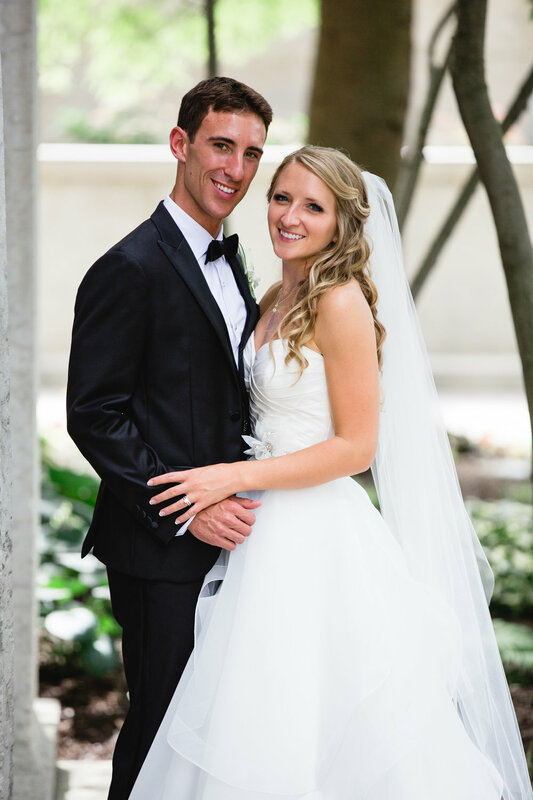 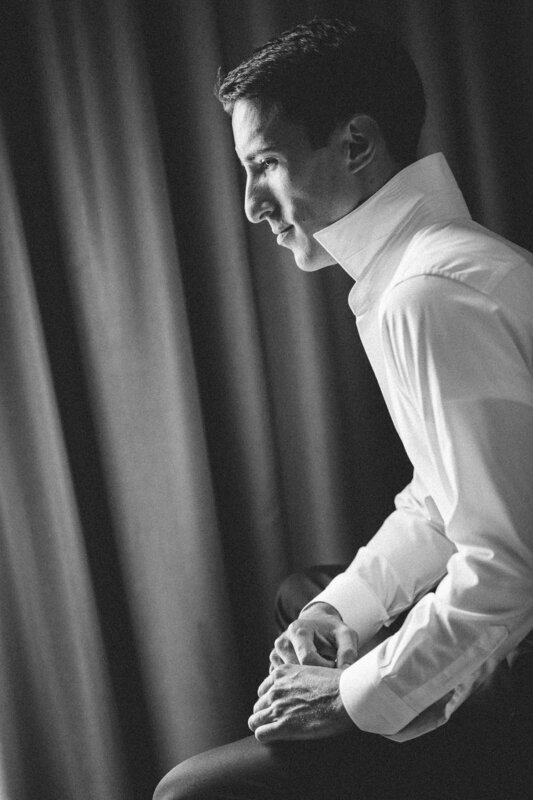 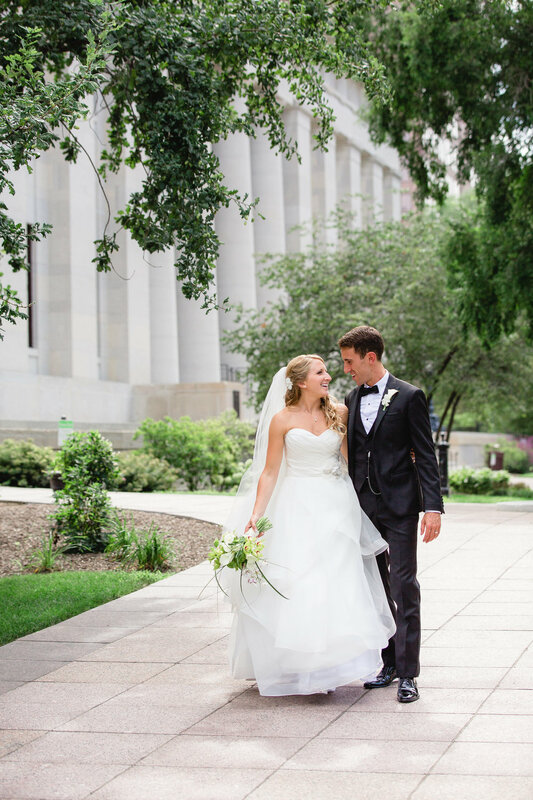 The couple got ready at the Hilton in downtown Columbus, a stylish setting for the chic couple. 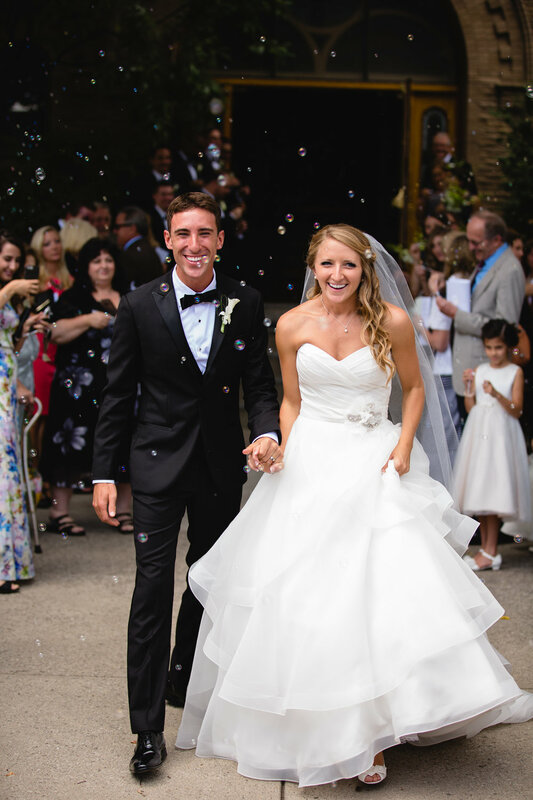 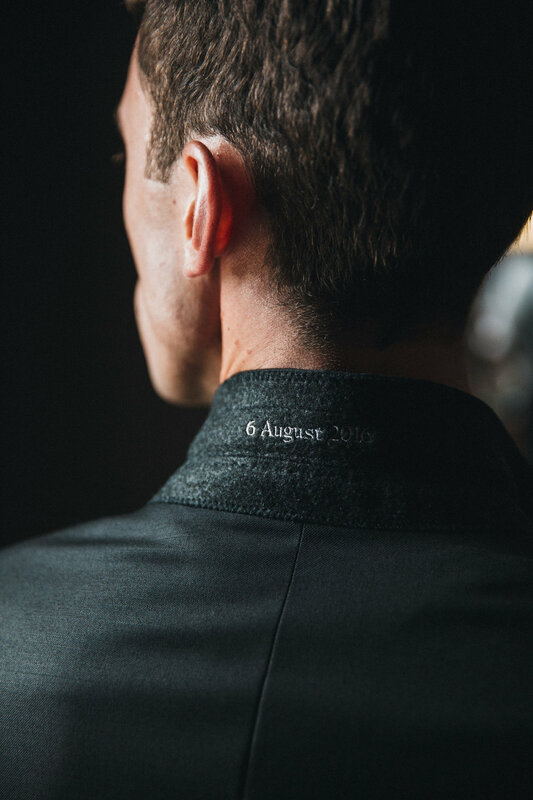 Paul stepped into his custom suit (which was embroidered underneat the collar with their wedding date), and Kara stepped into her whimsical gown made by Paloma Blanca. 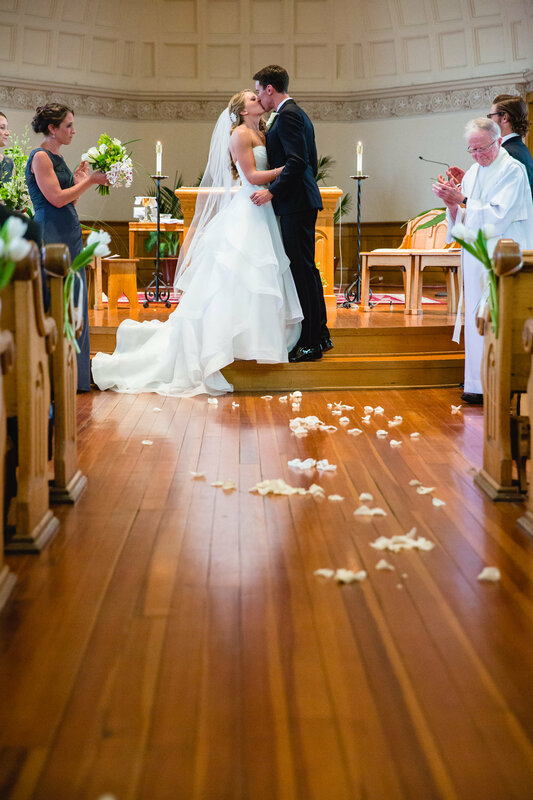 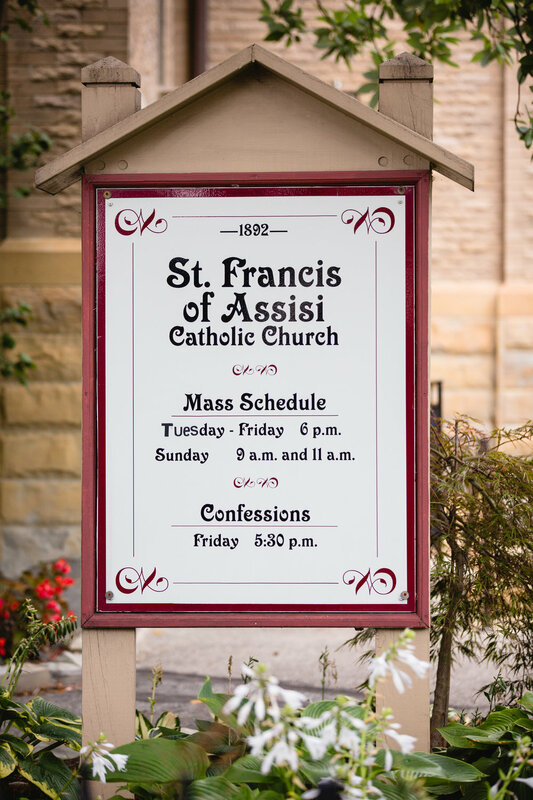 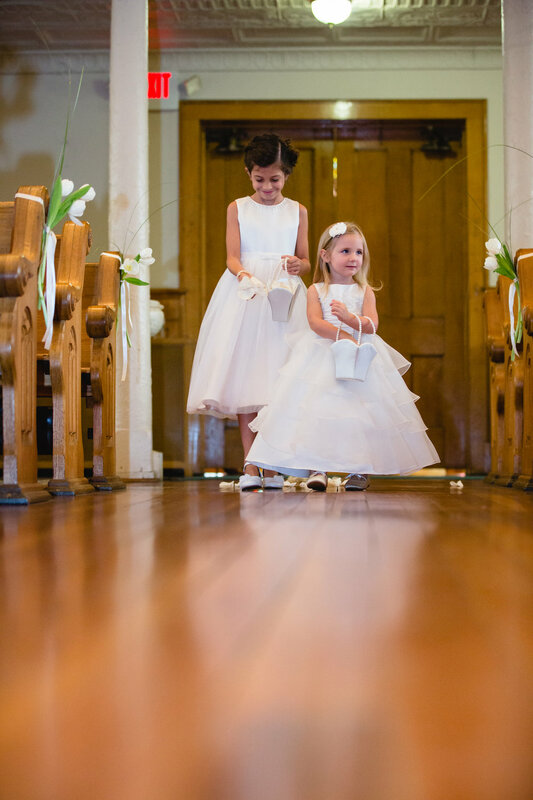 They had a beautiful ceremony at St. Francis of Assisi Catholic Church, a quaint, historic church in Victorian Village. 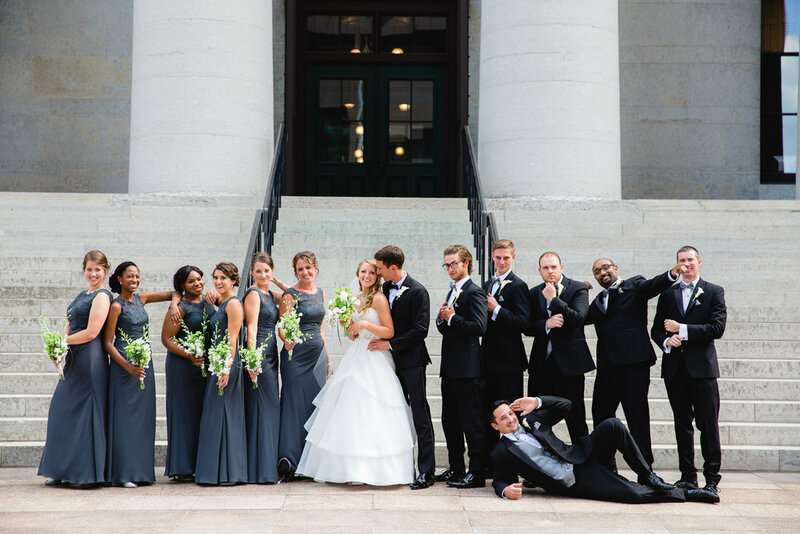 After their ceremony Kara and Paul, with their bridal party, ventured to the Ohio State House for their formal photo session. 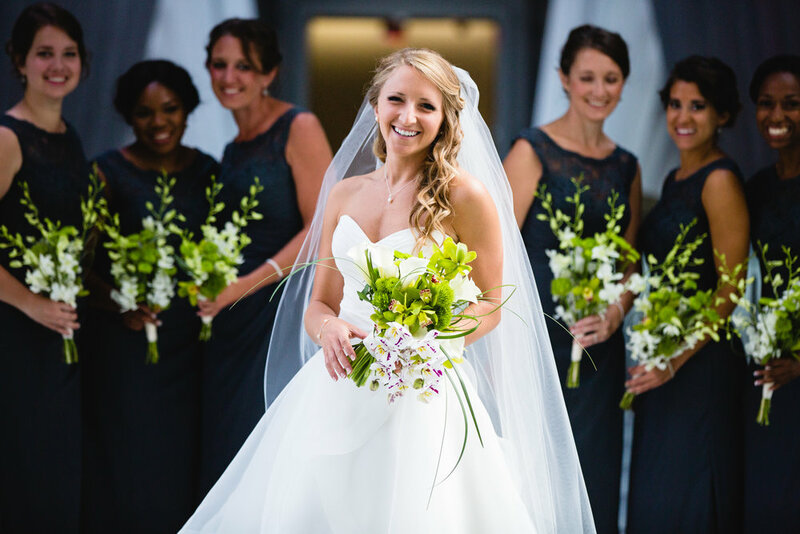 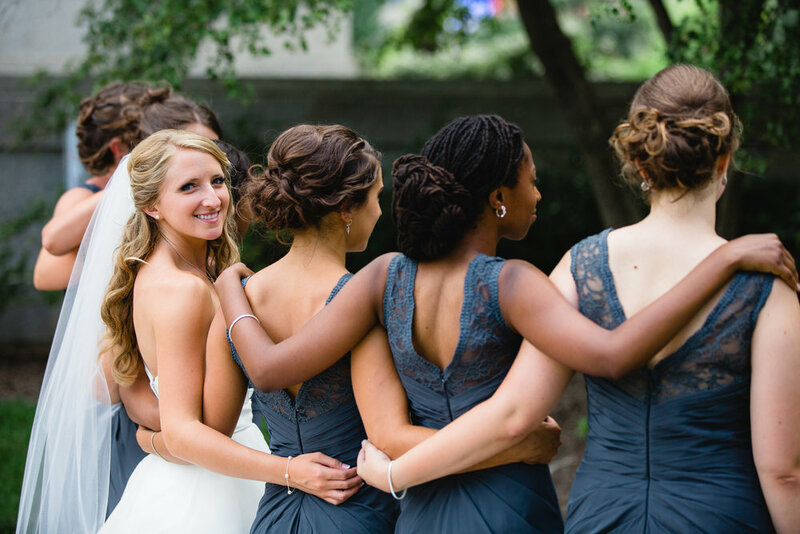 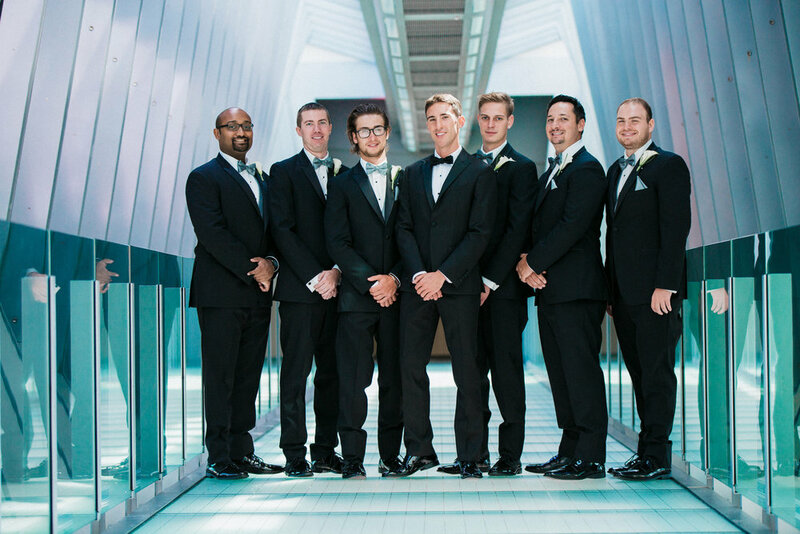 This gave a dramatic, grandiose back drop to the stunning couple and their bridal party. 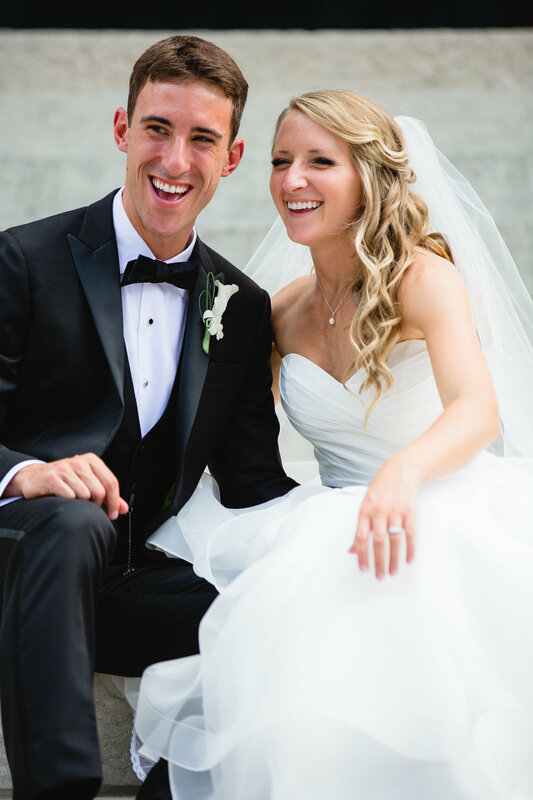 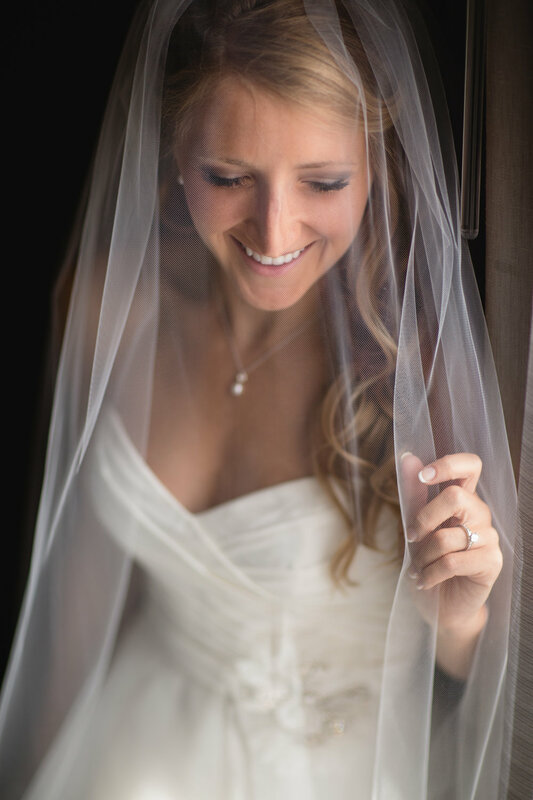 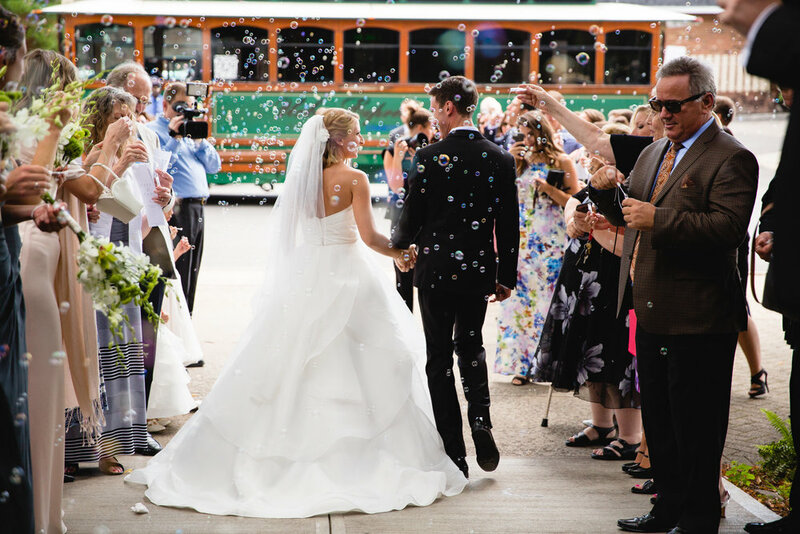 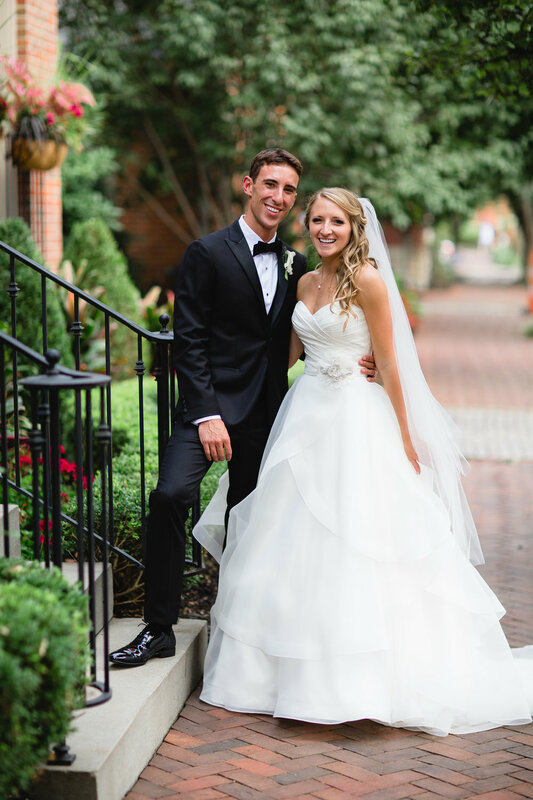 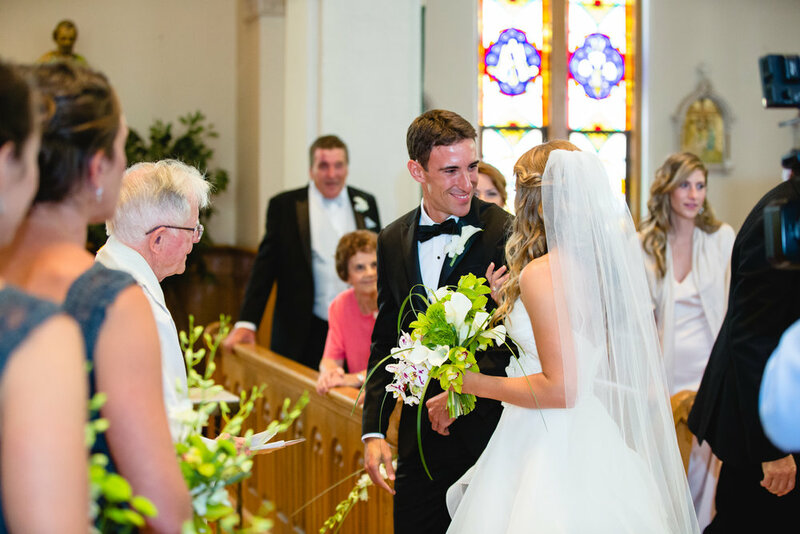 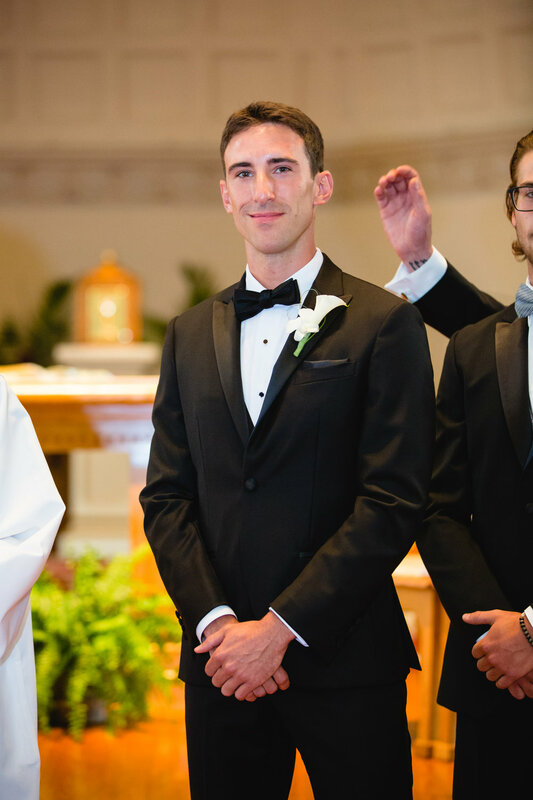 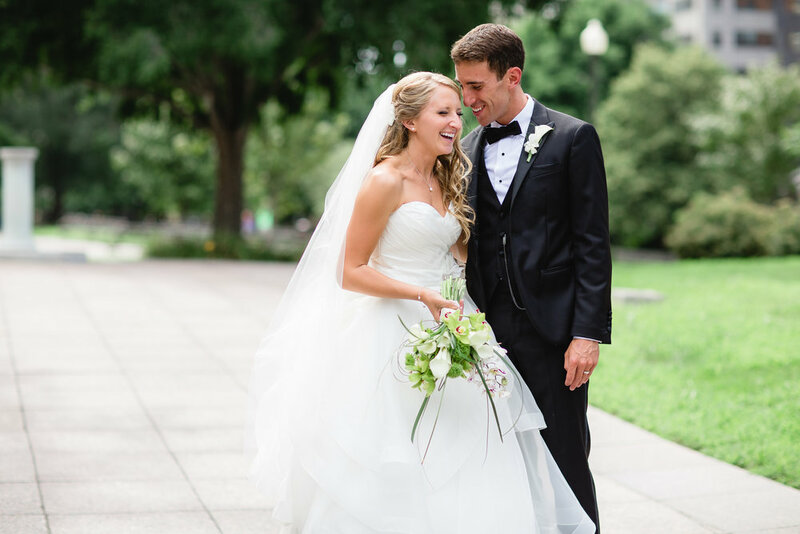 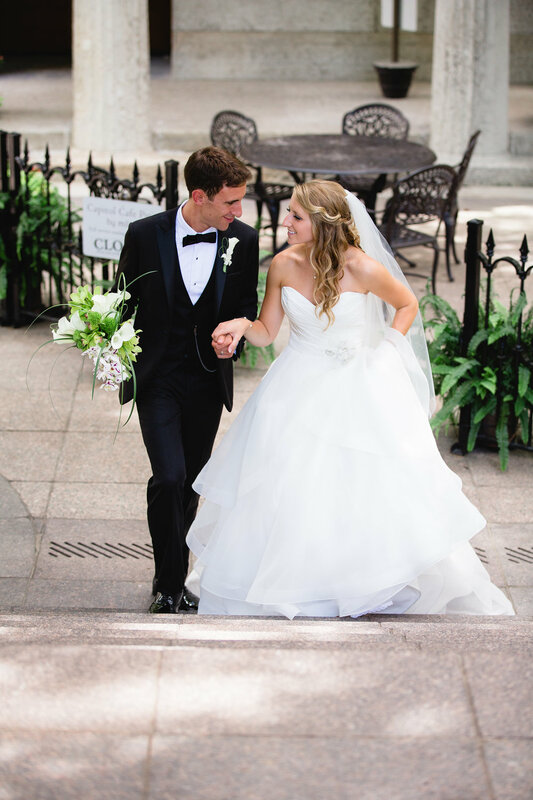 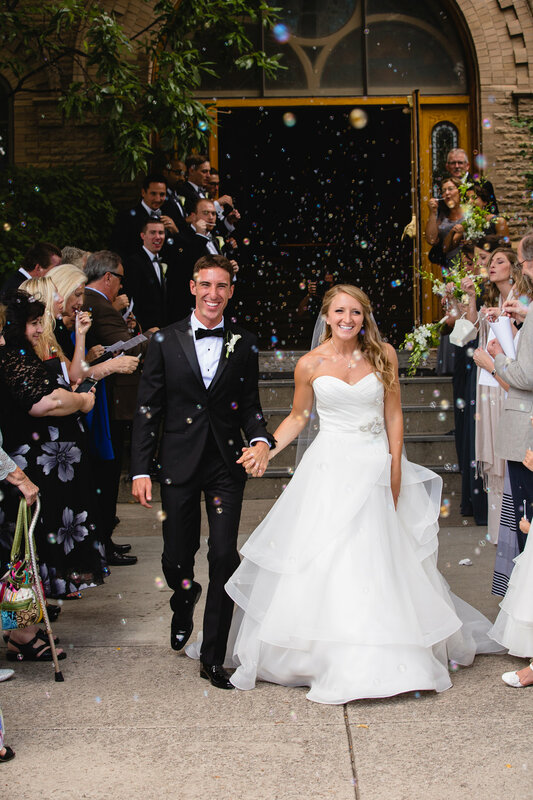 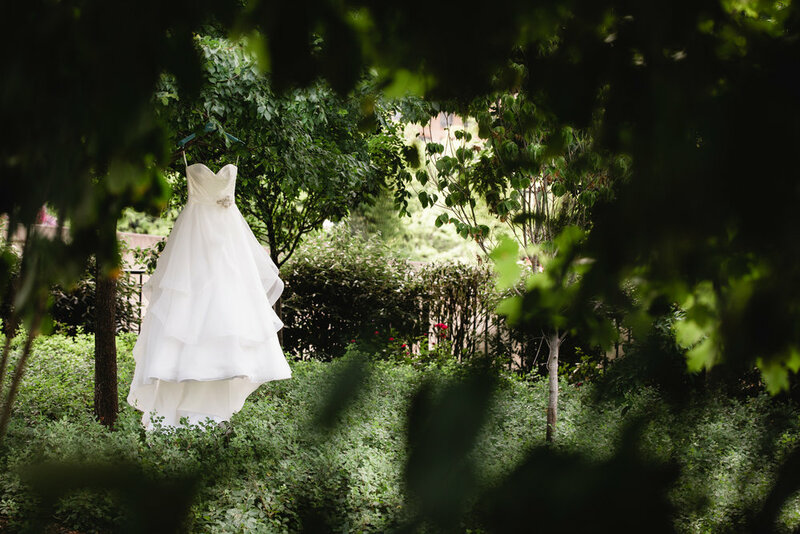 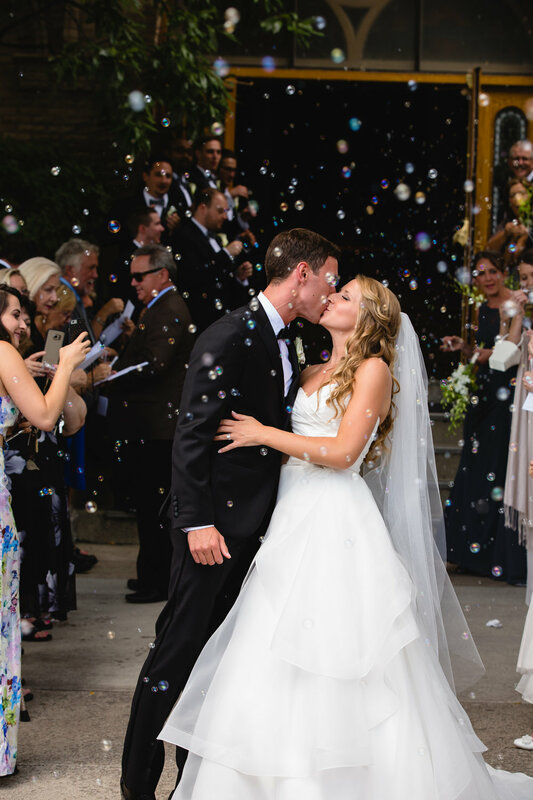 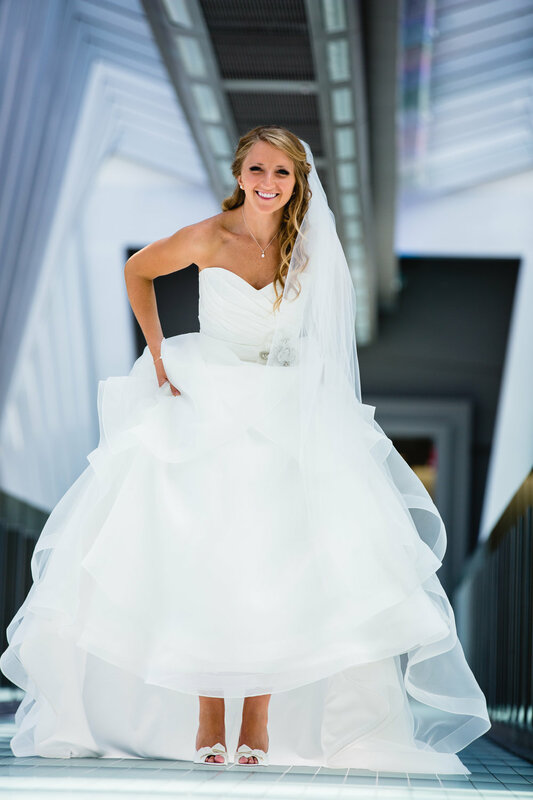 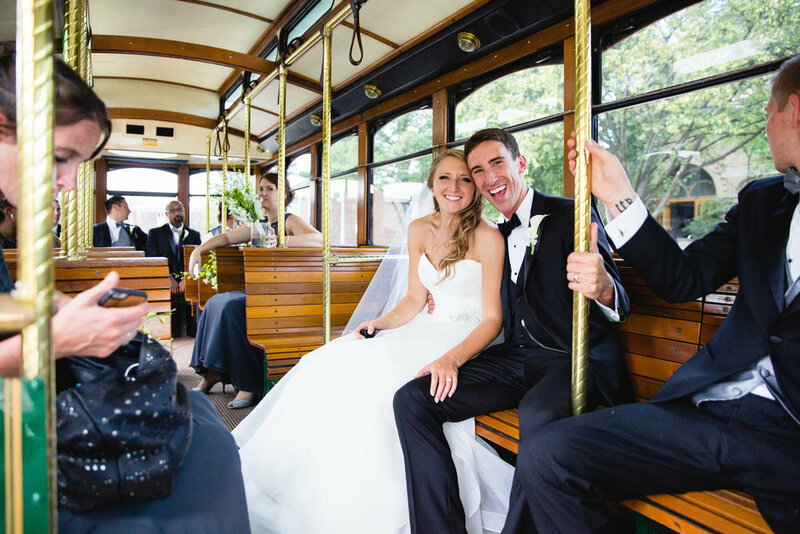 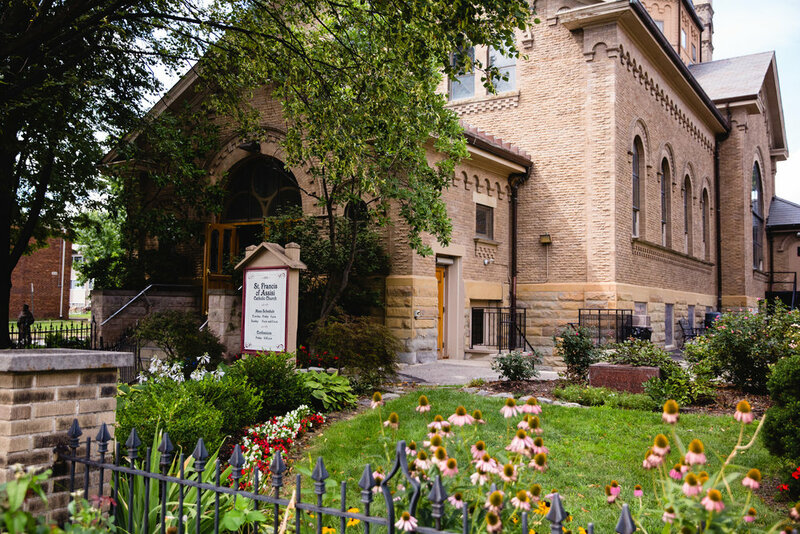 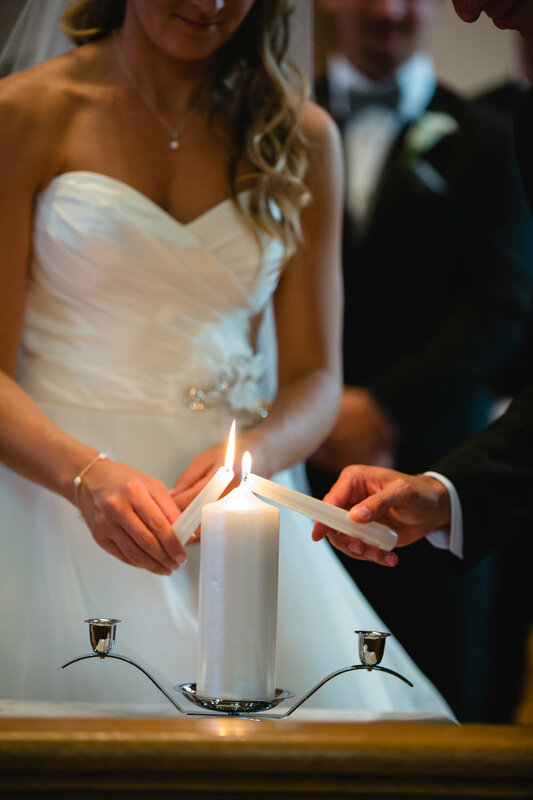 Before heading to their reception, the couple made one last stop to German Village. 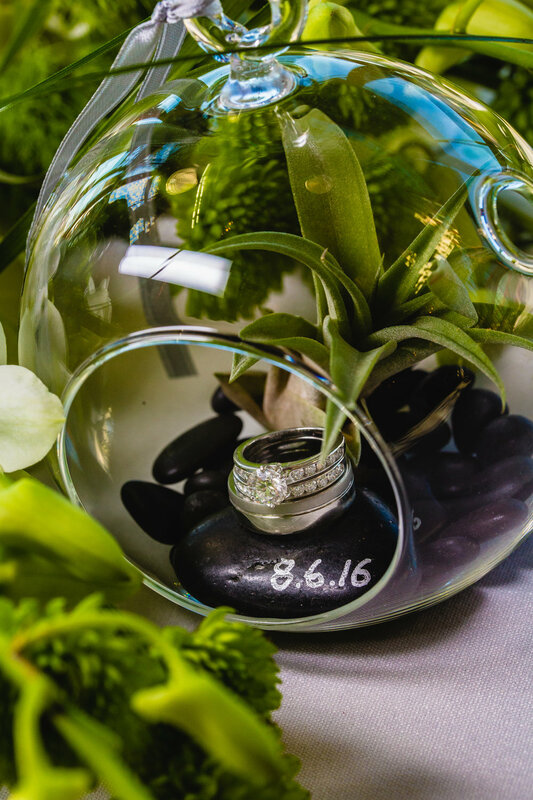 The brick, sprinkled with flowers and trees offered deep color contrasts to the sophisticated bride and groom. 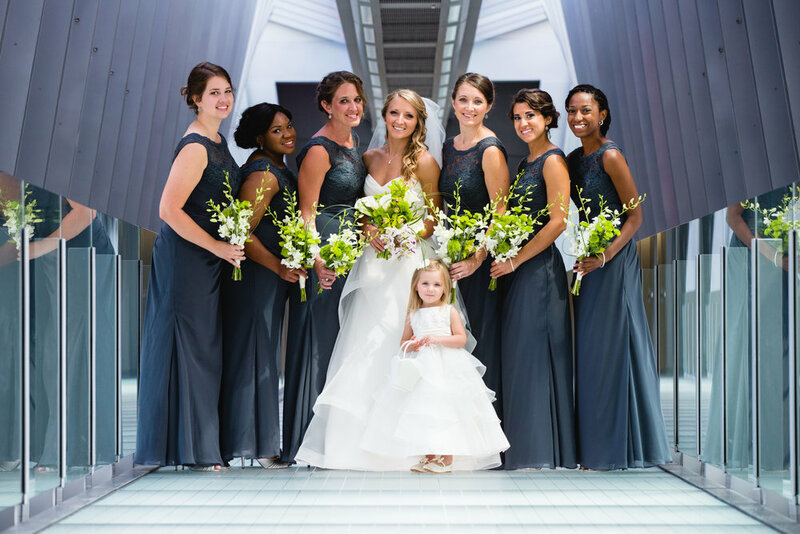 The reception was held at the Grange Audubon Center adorned with modern, elegant accents. 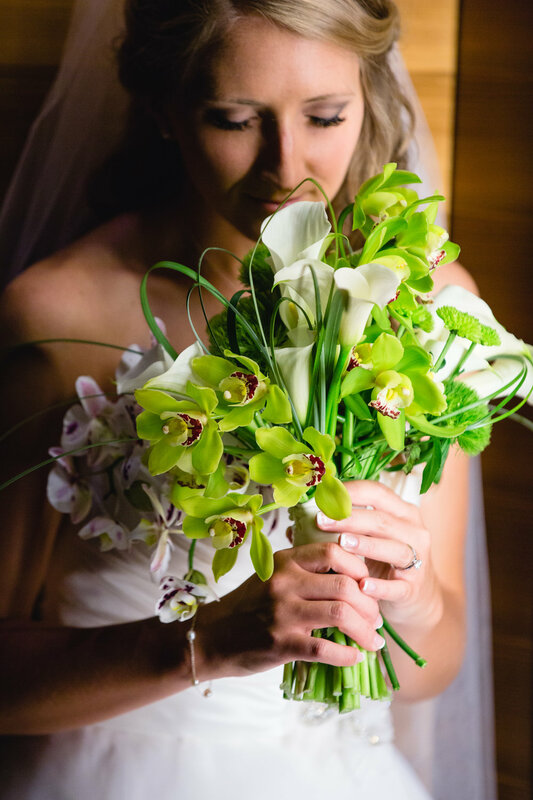 The white and green floral arrangements gave a summery feel to the simple decor. 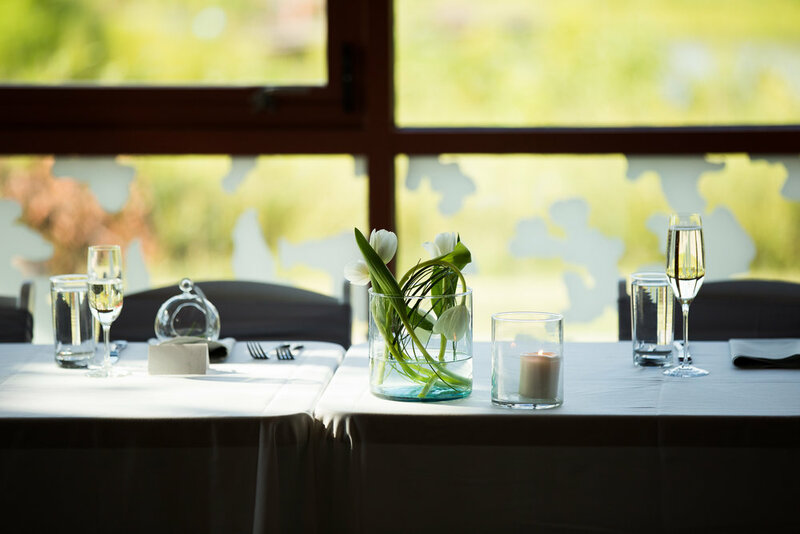 The room looked elegant with understated details on each table. 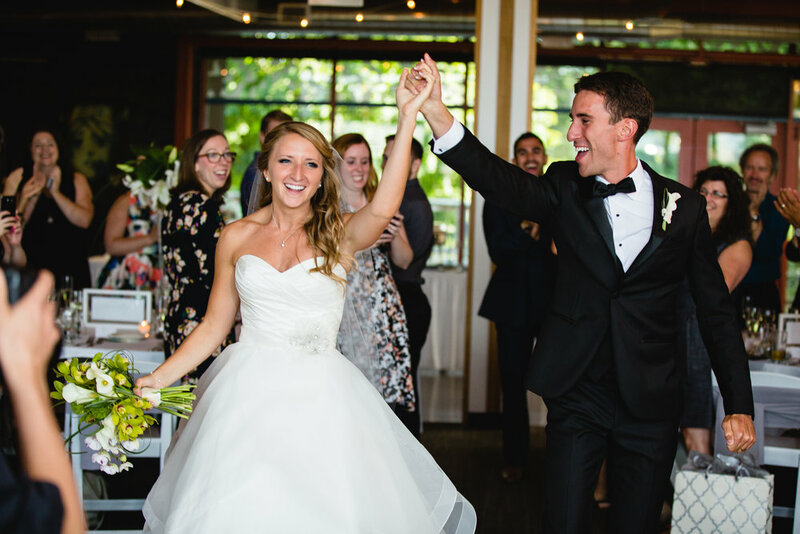 The reception was filled with well performed speeches, funny stories, food, cocktails, dancing, and romance. 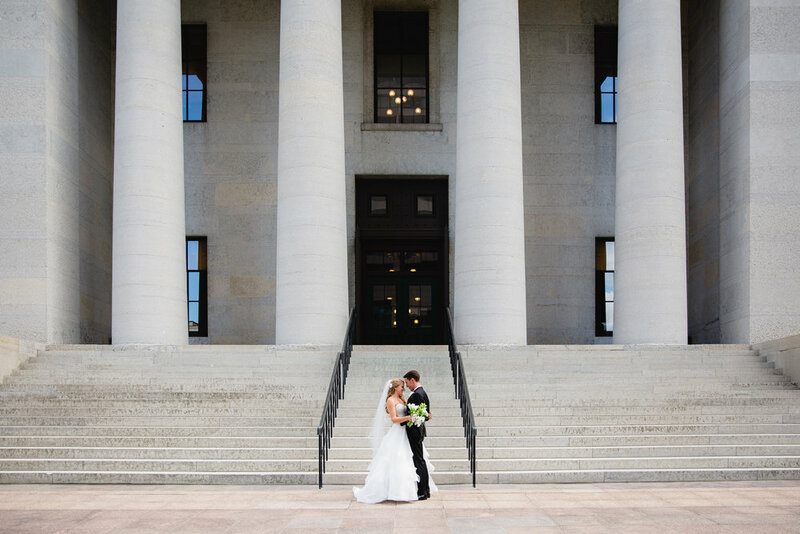 A perfect setting for a late summer wedding.